One of the delicious traditional dishes in Mexico is the Taco. 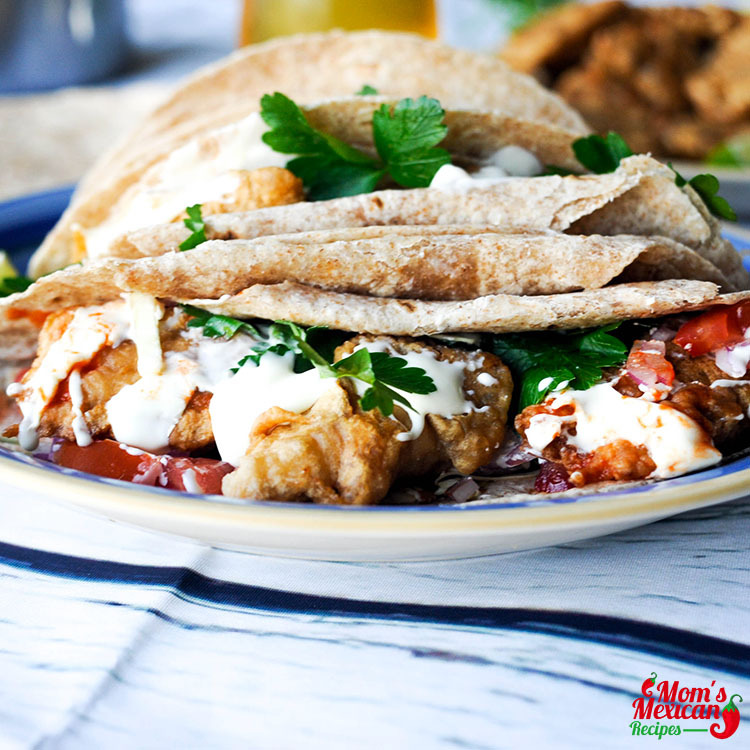 It is made up of wheat Tortilla which can either be rolled around the filling or folded around it. There are several fillings you can make for the taco. The filling for taco can be made with Seafood, Beef, Vegetables, Chicken, and Pork. Cheese is an important ingredient in this recipe. Since there are lots of varieties to choose from, it can be said that a Taco offers great choice and versatility. 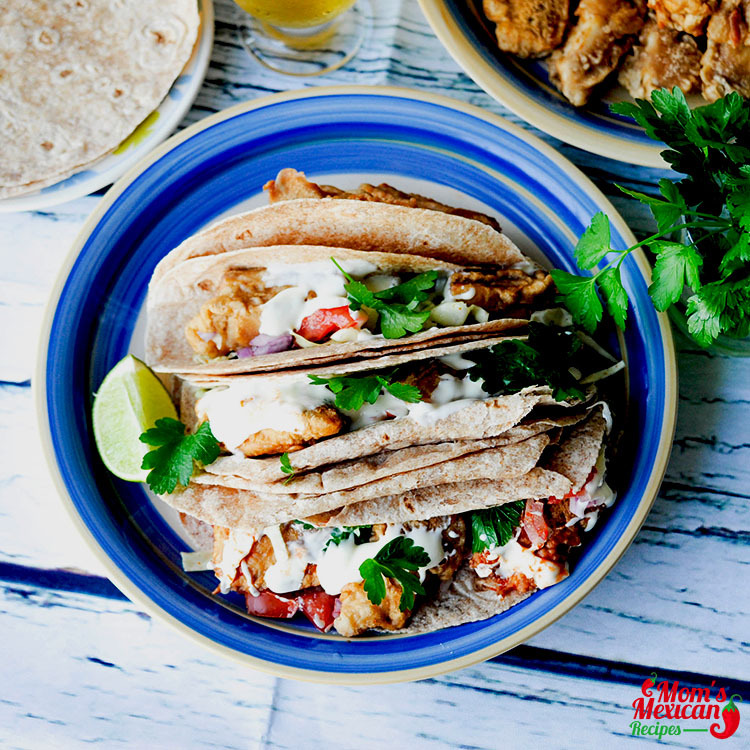 A variety of the Tacos such as Pork Tacos, Tacos Carne Asada, Baja Fried Shrimp Tacos, that one can try and will surely enjoy is the Beer Battered Fish Tacos Recipe. 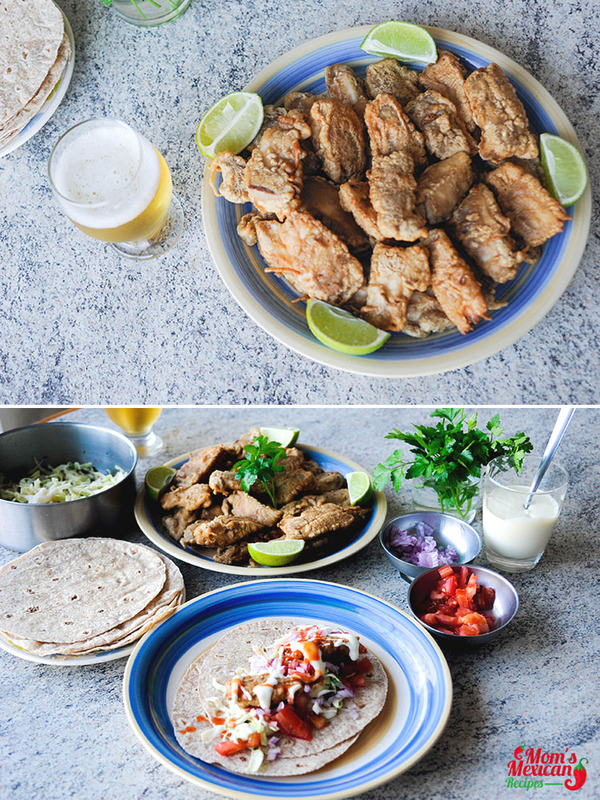 The Beer Battered Fish Tacos Recipe is also not so hard to prepare. Just combine the juice of lime and cabbage then you can season it with some salt then it should be chilled after. Then in another mixing bowl, just whisk the flour, beer, egg, salt, and cornstarch in order to make the batter. The fish should be sprinkled with salt and chili powder. After dredging the fish in flour, they can now be dipped into the batter then deep fried. The tortillas can now be added then garnish with the tomato, onion, sour cream, cilantro, and hot sauce. In a medium size bowl, combine cabbage, chili powder, cilantro, 1 teaspoon salt and juice of 1 lime on top, mix everything well. Put in the fridge for 10 minutes. In another bowl, put flour, cornstarch, 1 tablespoon salt and put in the fridge to get cool for 5 minutes. After put beer and egg, mix to make a batter. And put back to the fridge to get hydrate for 5 minutes more. Heat tortillas on medium – low high heat around 1 minutes for each side. Put in the bowl and cover. 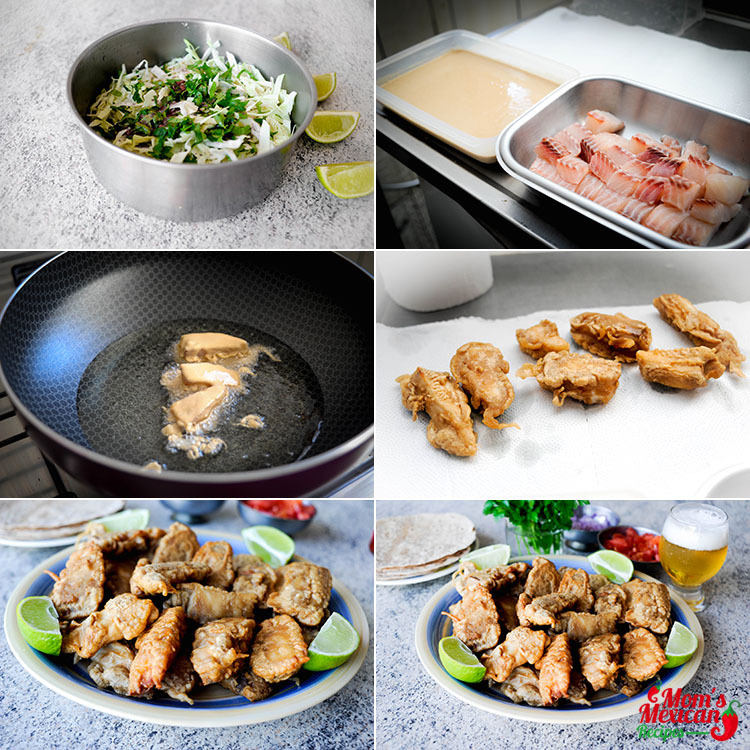 Heat frying pan with oil till high temperature, meanwhile prepare the fish, on the top of the strips of fish put 1 teaspoon salt after each piece steep to the batter and after directly to the heated oil and fry until crisp, about 3 minutes (Transfer to a rack set inside a sheet pan;keep warm in 200˚ oven). 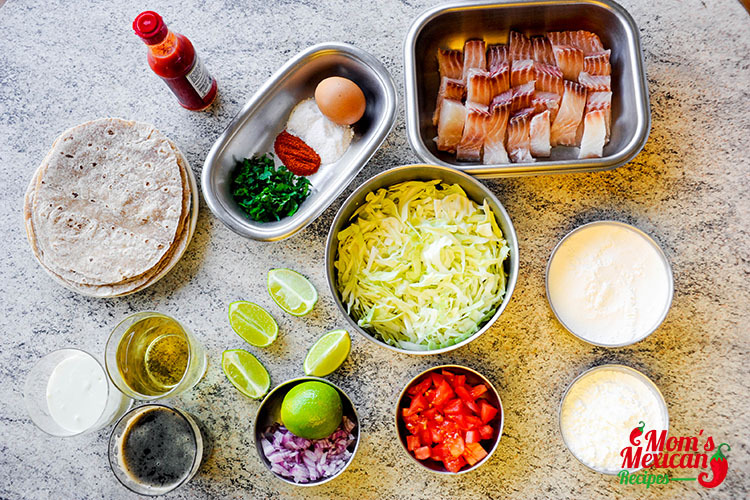 To serve, layer 2 tortillas together, fill with some of the fish and cabbage, squeeze with a lime wedge, and garnish with onion, cilantro, tomato, sour cream, and hot sauce. Eating a Tacos can be done even without any utensils needed and to make it more appetizing, don’t forget to garnish it with any of the following; Guacamole, Salsa, Avocado, Cilantro, Chili pepper, Onions, Lettuce, and Tomatoes. 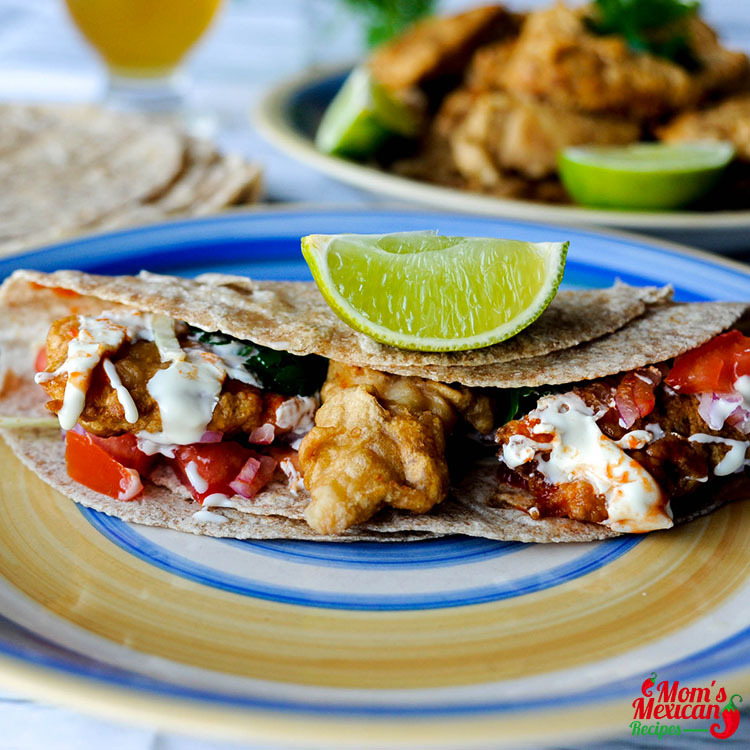 Don’t forget to try the Beer Battered Fish taco for you will definitely be satisfied with its wonderful flavor. It is not exactly clear where Taco originated but according to the publisher of Diccionario de la Lengua Espanola, the Real Academia Espanola, the word is used to describe a maize tortilla that is folded around the filling made from the varieties mentioned above and is a typical dish of the Mexicans. Anyway, where ever it originated is not really that important anymore. What really matters is how mouth watering this dish is. Anyone who takes a bite of this dish will surely ask for more especially when he/she had chosen to take a taste of the Beer Battered Fish Tacos.